Help! How do I Start Homeschooling? You are here: Home / Homeschooling 101 Series / Help! How do I Start Homeschooling? You decided to start homeschooling so now what? Here is a guide to provide you with the advice you really need to know before you start homeschooling your child. It’s not that Hard or Complicated to Start Homeschooling. Just pull your kids out of public school, buy some textbooks correspondent to their grades level and give them worksheets to work on every day for 7 hours. Voila! That’s it! Right? No, this is not it and that is not homeschooling. That my friend is trying to mimic the public school system in your home, and quite frankly it doesn’t work. So, before you go the most exhausting route to find this out, let me save you from all the headaches you could possibly have, trying to figure out that you were about to make a big mistake start homeschooling like this. I am so excited for you to start homeschooling! Homeschooling is the most amazing and rewarding decision you will ever make. So how do I start homeschooling? 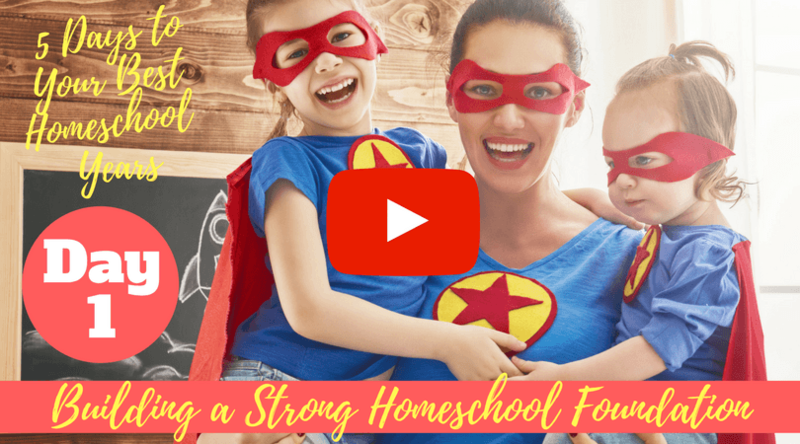 Start homeschooling by building a strong homeschool foundation. Think about the importance of building a strong foundation before you build a house? You can’t build a house on the sand, can you? Absolutely no. 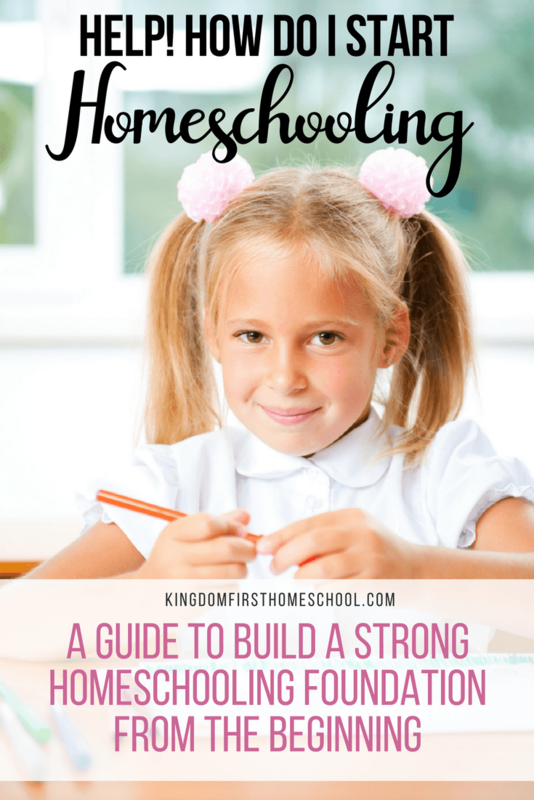 My goal with this post is to help you start homeschooling the best way – by building a strong homeschool foundation. If you were thinking, as I was 5 years ago, that to start homeschooling you just need to pull your kids out of public school, buy some textbooks and print some worksheets for them to complete every day, you were about to start building your homeschool on the sand and that is one of the most common mistakes I watch homeschool moms commit. 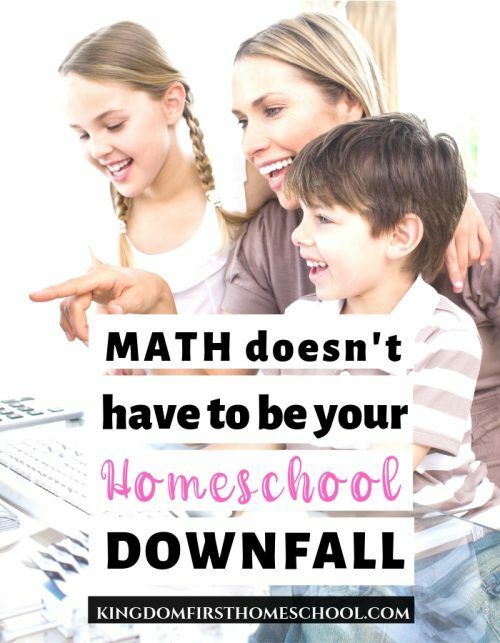 You don’t have to make the same mistakes you did and watch your kids and yourself a year from now hating to homeschool. I made every mistake in the book and the reason I blog about homeschooling today is to help moms to not repeat them, I even wrote a guide about it: How to Make Your Kids Hate Homeschool. I promise you that teaching you to build the right homeschool foundation is a lot more important than giving you a list of homeschool supplies to buy. 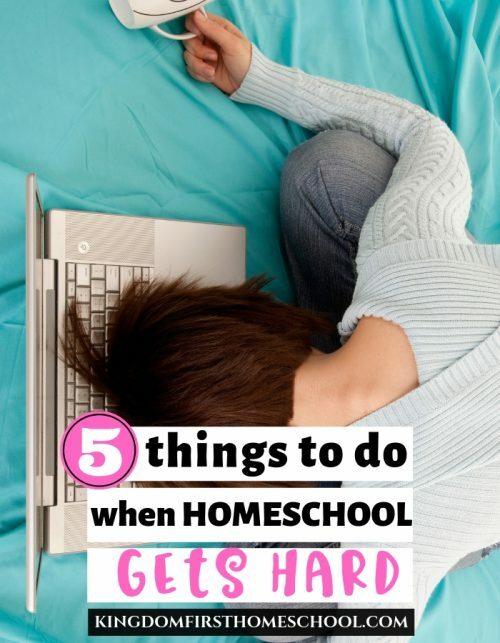 Everything else you will need you will get during this Homeschooling 101 Blog Party. Make sure you subscribe to the daily emails so you won’t miss a thing! #1 Start Homeschooling by Understanding What Home Education Is. “Education is an atmosphere, a discipline, and a life” – Charlotte Mason. I want you to start homeschooling the right way, without headaches that will lead you to regrets later. Children learn all day through what they see, hear, watch, read, observe, try… they learn from watching what you do, what you say, how you react… they learn by helping you, walking to the grocery store with you, going to the post office or working in the garden. Learning happens everywhere and all the time! From now on you will be educating your whole child, not just academically. You will parent your child as you go, help your child form good habits and a help your child build a strong character as well. I am amazed by how much homeschool teaches about discipline and servanthood. I watch my older children teaching their young sibling, helping in the house and caring for their young cousin when she visits us. Also, I see them taking initiative, becoming independent and learning to take ownership and responsibility. This is all fruit of our home education. 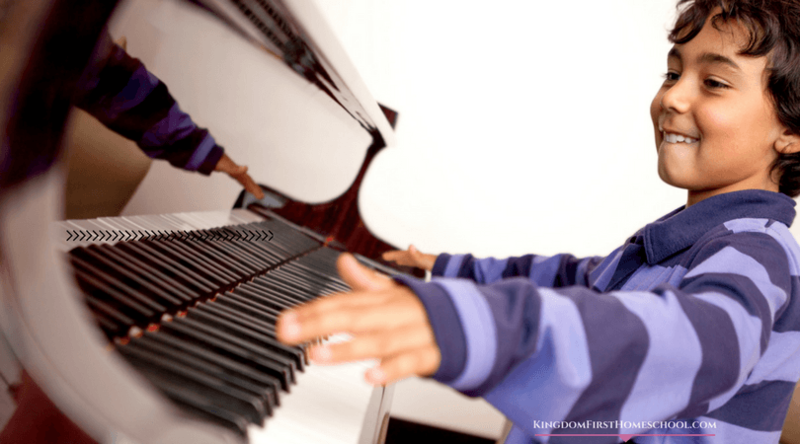 #2 – Start Homeschooling Knowing Your “Why”. What are the reasons that led you to start homeschooling? Your why will keep you from giving up when the hard days come and believe me they will come, just like everything else in life, you will have good days and bad days. Having these reasons engraved on your heart and if even on paper right in front of your nose daily will keep you from calling the yellow bus! Believe me! Ask me how I know this? I am sure you are not making the decision to start homeschooling because you think this is a pretty cool trend. You surely have strong convictions that led you to make this decision. #3 – Start Homeschooling with Your Homeschool Goals In Mind. Goals keep you on track and it gives you directions to achieve what is important to your child’s education. Learning to set long-term and short-term goals for your homeschool will help to remove distractions and help you keep your focus on what really needs to be done. Your goals could be set for your homeschool in general or yearly, quarterly, monthly, weekly and even daily. Last year I had pretty specific goals for our homeschool and some of them were: helping my 5-year-old to learn her alphabet, teaching my 7-year-old to develop a personal daily devotional time and helping my son to overcome his fear of writing. I like to use a bit of reverse engineering to help me achieve my goals. First, I think the big picture. Next, I break it into pieces: like categories, resources, etc. And finally, I write down small actions steps that will help me achieve my goals. For our family, our main homeschool goal is to provide our children with a strong solid Bible-based and Gospel-centered education. My husband and I have found Bible Scriptures to help to guide us towards our main goals. “And the second is like it: ‘Love your neighbor as yourself.’ All the Law and the Prophets hang on these two commandments.” Matthew 22:39-40. My husband and I have recited these passages to our children every night since the day they were born. Why? Because Jesus said that these are the most important of all the commandments (Matthew 22:34-40, Mark 12:28-31). We believe that if we love The Lord, with all our heart, we can’t help but to naturally love our neighbor as ourselves. And this will cause us to be more like Jesus: “And Jesus grew in wisdom and stature, and in favor with God and man”. Luke 2:52. This is what we desire for our children: that they would be Christ-like, growing in wisdom and stature, and in favor with God and man. Perhaps, you are not religious and this is not a reason you consider important to you. The bottom line is, your reasons will sustain your decision and will keep your eyes on your homeschool goals. 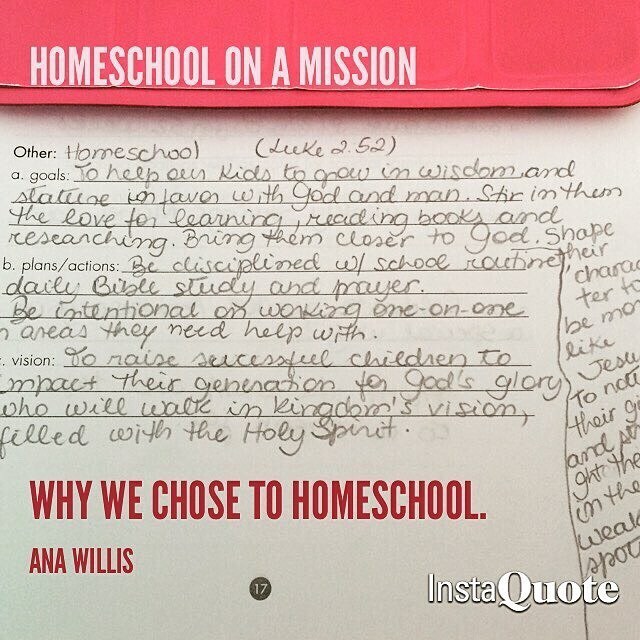 #5 – Create a Homeschool Vision Board & Write Your Homeschool Mission Statement Down. A clear vision keeps you going! 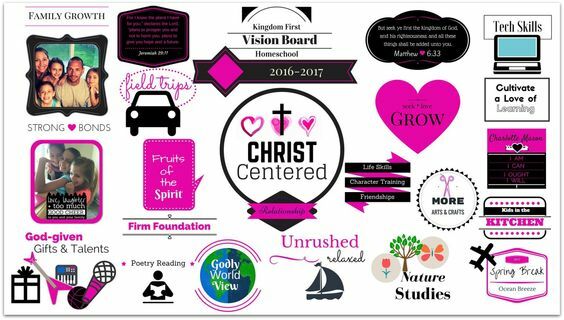 Your homeschool vision board and your homeschool mission statement will be your daily reminder of your commitment to making this work! Well, let me just say that besides knowing well your why and your goals, it will take a lot of commitment from your part to homeschool. A homeschool vision board is so much fun to put together and you can create one with your child! In fact, I highly recommend you develop your homeschool vision together. 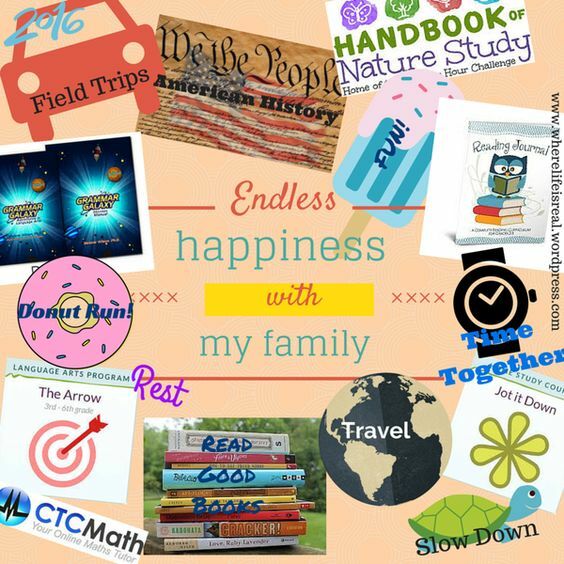 Together you can create your homeschool vision and add the goals you want to accomplish in a very fun and visual way. Your homeschool mission statement is equally important and motivating. It will keep your entire homeschool vision in one place: your “why”, your goals and your inspiration. Begin by drafting it out until you feel like it’s just what you need. Print it out. Keep it in front of your eyes. I mean it! Hang it on the wall. Make it your binder’s cover. I’m serious. You, dear new homeschool mom, are lucky to be here reading this today. You might be thinking that this was not what you expected of a How Do I Start Homeschooling guide, but I can guarantee you if you start homeschooling this way, you will be setting yourself and your child up for success! Want to go deeper and prepare yourself for your best homeschool years ahead? 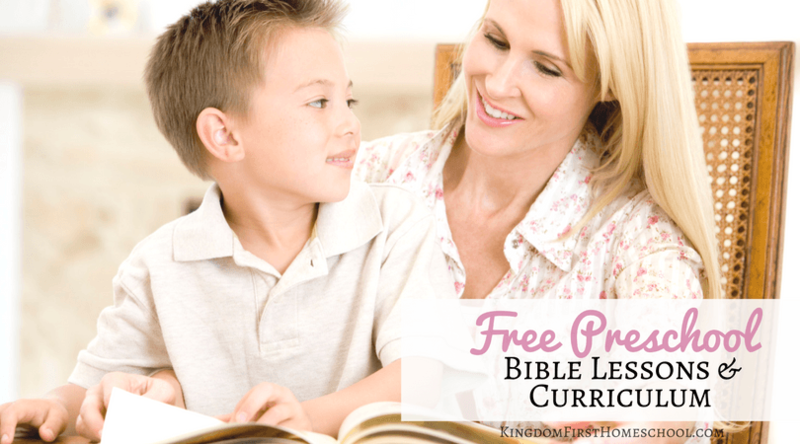 I have a free video and a free workbook printable for you! To learn more about how to start homeschooling the right and best way, just click on the picture below. 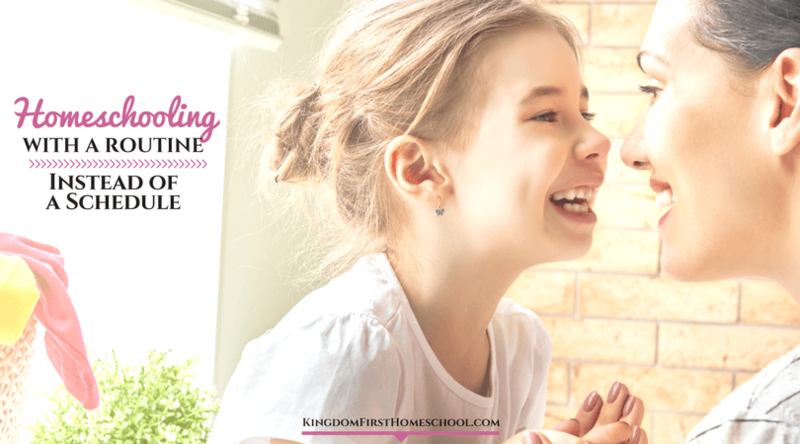 This is day 2 of my Homeschooling 101 Series I’m so glad you are here! Next up Jen Mackinnon will tell us 7 ways to homeschool on a budget! Oh and don’t forget to join the exclusive Facebook Group to chat it up with our bloggers, ask questions and just be a part of our amazing and growing community! First and foremost Ana loves Jesus, she’s a wife and a mommy to three amazing kiddos, she’s a former full-time pastor and certified health coach who loves to encourage other moms! Her passion is to help moms go from stressed to blessed! She has a dynamic personality and her laugh and love for God are contagious.